Swansea continued their unbeaten start to the season with a controversial 1-1 draw at Preston North End. Graham Potter named an unchanged starting 11 for the first time this season with Oli McBurnie a late withdrawal due to illness. Preston fielded new forward signings Jayden Stockley and Brad Potts as they looked to end a poor run. Swansea started brightly and looked comfortable on the ball and within 3 minutes Dyer was released into space but Courtney Baker-Richardson under pressure from the defender couldn’t direct it goal-wards. The game lacked intensity as Swansea passed with patience and Preston looked a side short of confidence but apart from a dangerous Leroy Fer cross there was little to get the away supporters excited. 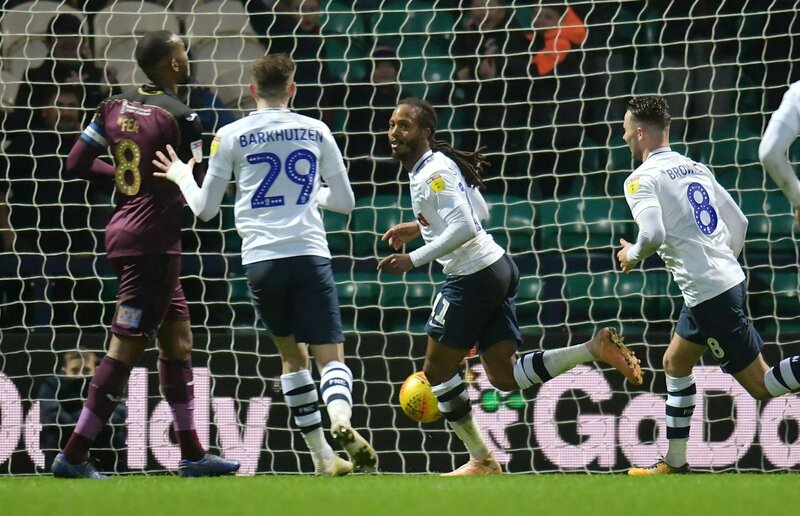 Preston came into life on the half hour with some dangerous crosses before a speculative shot from Potts had Erwin Mulder looking uncomfortable before he saved with his legs. Swansea resounded with their best opening when a Celina shot from the edge of the box took a deflection but was well saved by Declan Rudd. 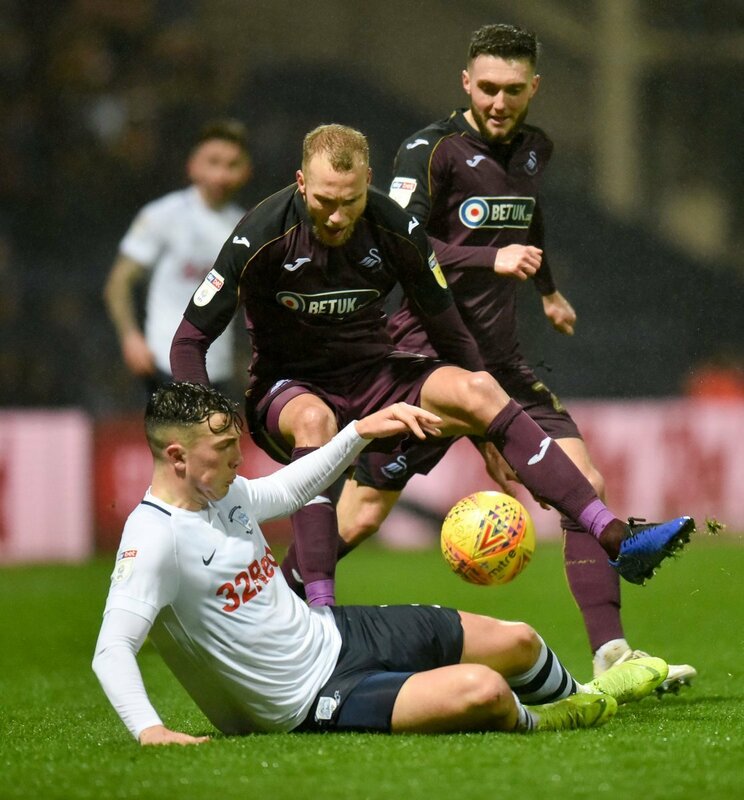 The second half began in the same vain; Swansea settling down and Preston happy to let them have the ball but there was a bit more purpose to the Swansea play with Routledge and Dyer coming in field and causing problems. It was Dyer who was central to Swansea taking the lead. Some excellent build-up saw the ball fall to Dyer in space outside the edge of the box. his through ball found Celina on the left-hand side and his pinpoint cross was met by Baker-Richardson for his third goal of the season. 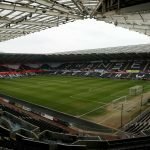 There was a real sense that Swansea could win their third consecutive away game but not long after they scored the Swans were to be again undone by an appalling refereeing decision. 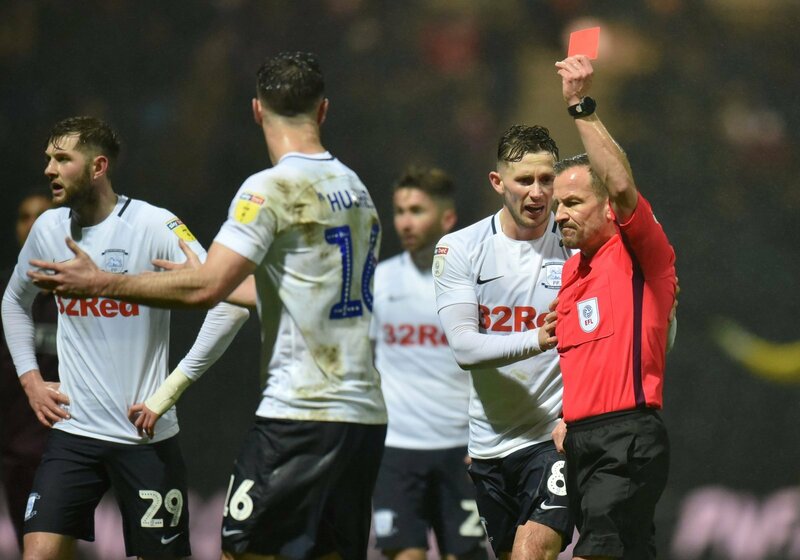 The ball broke for Stockley on the right-hand side with his cross hitting Connor Roberts in the side before the referee inexplicably gave Preston a penalty with Daniel Johnson concerted. The replays do not give a great angle but it is clear that Roberts arm was down and tucked into his side and you have to wonder what the reaction of a certain Neil Warnock would have been had this decision gone against his side. Swansea were furious and a fine double save from Mulder kept them level before Potter threw on Bony and Montero to try and find a win. On 81 minutes with the game possibly going either way referee Keith Stroud sent off Josh Earl for a second bookable offence for a very untidy looking tackle despite the fact he got a bit of the ball. 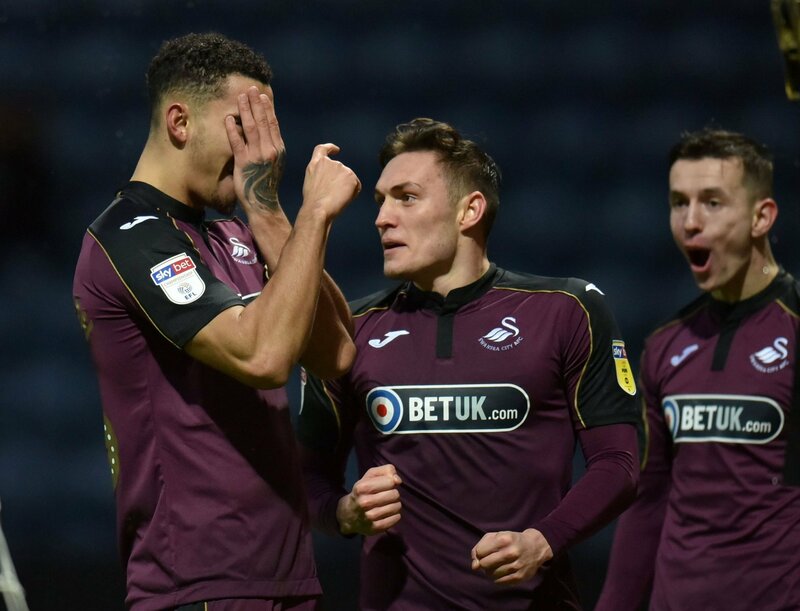 The Swans went forward searching for the winner as Preston retreated to try and hold onto the point but apart from a glancing Bony header there were very few chances as the Swans had to settle for a point.